Navigating sportsbook deposit methods can be a little tricky for sports bettors in the United States. There are special considerations that have to be made in terms of legality and safety and there are a few differences when considering deposits to an online sportsbook provided by your state and one that is located overseas. While players in other countries have long sense been able to use a wide range of eWallets, credit cards, and money transfer services, U.S. bettors have just started to see options expand. This is mostly in part to the UIGEA, a federal law that prevents U.S. financial institutions from processing unregulated online gaming transactions. Rest assured that there are now plenty of legal deposit methods at every online sportsbook. Sports betting operators offer convenient options to fit the needs of every bankroll. There are methods for those looking for the fastest deposits, and options for players that are big spenders. We will give you a list of the sportsbook deposit methods that you can expect to find at legal online offshore sports betting sites, along with a look into how each option works. We will also do the same for online sports wagering platforms that are licensed by certain states. The team here at LegalSportsBetting.com knows how important it is to make depositing easy and we hope you learn a thing or two from this article. The method in which you make sportsbook deposits largely depends on what type of sports wagering site you want to use. If you live in a state that has licensed online sports wagering sites of their own you will have slightly different options as opposed to legal offshore betting sites. If you plan on using one that operates offshore, obviously, the first thing you need to do is sign up at one of the sites that we list because they will give you more options than any of their competitors. You will be able to sign up at any time and wherever you may be. Make sure to check out several and pick the one that accepts the deposit method that you will be using. For each of the offshore betting sites that we recommend, there is a cashier section that will list out each type of deposit option as well as the minimum and maximum amounts pertaining to that deposit method. You will also have to send them some personal information to help verify your account. This will include things like a copy of the credit card, a driver’s license, a light bill, and a few other things. After you send them these documents, then you will be good to go and ready to make deposits instantly. While this may seem like a hassle to provide, it ultimately works in your favor. This gives the offshore site greater security over your account and ensures that no one can tamper with their betting lines, giving you the fairest and most reliable service possible. If you are using an online sportsbook provided by your state, you may have more hurdles to jump in order to make a deposit. Some states will require you to sign up at a retail sportsbook location and others take it a step further requiring you to make your deposits there as well. However, some states make it a bit easier by allowing you to register online and offering deposit services such as Paypal, Neteller, Skrill, and PayNearMe, which we will cover later on in this guide. When betting on sports online, most bettors want to use the fastest sportsbook deposit methods to start wagering as soon as possible. Online sportsbooks recognize this demand and provide sports bettors with a wide range of secure and speedy deposit options. Each of the deposit methods will vary in terms of minimum and maximum funding limits, but the one commonality is that all of the options are fast. Most deposits will not carry fees but this is dependent upon the particular sportsbook. For instant sportsbook deposits to online offshore betting sites, we suggest using bitcoin, credit cards, or prepaid gift cards. 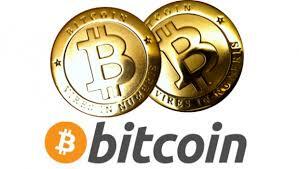 Bitcoin is a digital currency that has become synonymous with legal offshore sportsbook deposit methods. It is one of the fastest deposit methods with funds reaching your account within minutes. BTC deposits are 100% guaranteed to be processed being that there is no central bank to prevent your payment from being processed. You can also send funds without having to provide any bank account or credit card information, just transfer funds from your BTC wallet. The average deposit minimum is $20 while you will see maximums that go up to about $25,000. This deposit method, however, is exclusive to offshore books and has not been made available through individual states quite yet. With the success of Bitcoin, bookmakers have gotten onboard with a wide range of cryptocurrency deposits. Many of the top legal offshore sports betting sites now accept Bitcoin Cash, DASH, Ethereum, and Litecoin for instant sportsbook deposits. Being that all of these currencies are decentralized and work in a similar manner in terms of speed, fees, and limits, it all comes down to using your preferred crypto funding method. Credit cards are by far the most commonly used method for making online sportsbook deposits. Cashiers will accept Visa, MasterCard, and occasionally American Express. Credit card deposits are instant and incredibly convenient. Your card issuer may charge an “international purchase” fee if you use an overseas-based betting site, and your sportsbook may also have a small processing fee. 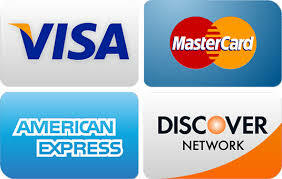 Credit cards do not have high limits, with the average minimum being $20 and the maximum being $5,000. If using American Express, you can expect the maximum to be lower. Prepaid cards are one of the more popular sportsbook deposit methods because they are similar to credit cards, but more reliable. Prepaid deposits are also applied instantly to your account. Prepaid cards are not tied to your personal bank account, which means you are not providing any sensitive information and there is no risk of your bank declining the transaction. When purchasing prepaid cards, make sure that the card is good for international purchases. The most commonly used prepaid cards are Vanilla Visa and Green Dot. High roller sportsbooks allow bettors to place huge sums on their wagers, but getting the cash onto your account is the first step. When you’re betting $5,000 or more on a single bet, you need to have a large bankroll readily available. The best legal sportsbook deposit methods for high stakes bettors are those where large sums can be transferred without having to make multiple transactions. For that reason, we recommend that high rollers use bank wire transfers. Of all the available sportsbook deposit methods, bank wire transfers are most preferred by high roller sports bettors. A wire transfer is where you transfer money directly from your bank account to the bank account of the online sportsbook. Bank wires allow bettors to send large amounts of money entirely online. This is the only method that has no deposit maximum, making it ideal for those that have a big bankroll. Bank wires can take an average of 1-3 business days to be applied to your account, though it relies heavily on how fast your bank sends the funds. Your bank will also charge a fee to initiate the transfer. Person to Person methods are money transfer systems that allow bettors to send cash both domestically and internationally. Some person to person options include MoneyGram, Western Union, and RIA. The process can be completed at a retail location or online for added convenience. There will be a small fee charged by the service provider, but most online sportsbooks will cover your fees if you deposit a certain amount. Checks are the most tried and true of all legal sportsbook deposit methods. Rather than sending money electronically, you can mail in a cashier’s check to an address provided by the online cashier. Checks have higher limits than other methods, typically ranging from $1,000 to $24,000 max. Depending on the mail carrier, it can take as little as 4 business days for the cashier to apply the check to your account. DirectPay is a newer sportsbook deposit option that focuses on funds transfers and is exclusive to offshore sports wagering sites. There are three different ways to complete a bank transfer – bank wire, electronic transfer, or cash/counter. Typically, you can send up to $9,500 to your online sportsbook with DirectPay depending on which method you choose. While some players like the convenience of transferring money from your online banking portal, others would rather visit a bank and deposit cash with a teller. If you prefer to use Skrill, Neteller, PayPal or PayNearMe, these would work best if you plan on using a sportsbook that is provided by your state. When it comes to Skrill, Neteller, and PayPal, these are essentially digital wallets where you can keep your money to make online transactions. PayPal is by far the most popular option, with billions of US residents using the payment processor for all types of everyday purchases. Being able to quickly fund your online sportsbook account with PayPal is one of the more convenient methods for stateside online sportbooks. PayNearMe is a bit different from most of the deposit methods that we cover. This method is offered exclusively by certain states that have online betting sites of their own such as New Jersey. Essentially, retail locations such as a 7 Eleven will be partnered with the service and will allow you to make your deposit at their physical location. For example, if you’re stopping to get gas you can also refill your sportsbook account by presenting your barcoded PaySlip and cash to the clerk inside of the store. Why Was My Credit Card Deposit Declined? The reason that your credit card was declined is most likely because your bank denied the transaction. Some banks will not authorize transactions related to online sports betting due to the UIGEA. That is why online sportsbooks work with several different payment processors in order to improve the success rate of your credit card deposit. Even if your card does not work on the first attempt, it will often be processed if you try again at a later time or call customer service to speak with a payment specialist. Does my payout come back using the same deposit method I made? When possible, your payout will come back using the same method that you used to make a deposit. For example, checks, person to person, and bitcoin are available as both deposit and withdrawal methods at most online sportsbooks. Money orders and credit cards are deposit options but are not typically payout options. In these instances, you can speak with customer service to discuss alternative options. If I deposit through CC, what documents do you need to request a payout? What Withdrawal Methods Are Offered? When it comes time to request a payout, you will find that there are numerous options to choose from. Many sportsbook deposit methods are also available as withdrawals, such as bitcoin, bank wire transfers, and checks. You can also get your winnings via a person to person method such as MoneyGram, Western Union, or RIA. How Does The UIGEA Impact Sportsbook Deposits? The UIGEA, which stands for the Unlawful Internet Gambling Enforcement Act of 2006, is a federal law that can make it more difficult for sportsbook deposits to be processed. The law requires banks to monitor certain payment systems, such as credit cards and bank wires, for online gaming activity. The financial institutions are required to restrict these transactions, which is why you may have to try a deposit method several times before it is processed. The UIGEA does not make online sports betting illegal by any means, and there are numerous legal deposit methods that US players can use.